The year is 1978. Gas is 65¢/gallon, milk is $1.44/gallon, West Hartford has just endured the Blizzard of ’78, Laverne & Shirley is the #1 TV show, and Night Fever by the Bee Gees is the #1 song. Bucky Dent is several months away from hitting the most famous home run in the Yankees/Red Sox rivalry. A skinny 22 year old kid is fresh out of college looking to help his local community and his best friend. His name is Ken Goroshko and through a series of unexpected events he becomes the manager of a Major League team – Chevron. 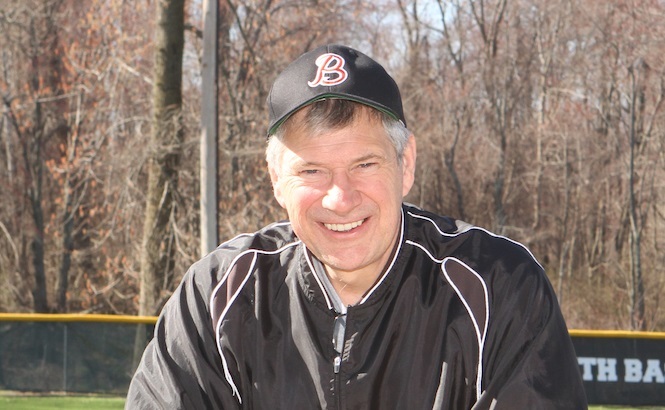 37 years later Ken enters his final season as a Major League manager of Blue Back Dental and over those years has become a WHYBL living legend with his trademark smile and upbeat personality. 1978 as a Manager. I was 22. Our team was Chevron, formerly Bridlepath Pharmacy. I was initially a coach and then my best friend John Kelly had to step down to take a job in New Haven so I took over. Kell’s famous last words to me were: “don’t worry I’ll find a replacement for you within two weeks.” 37 years later I’m still waiting for Kell to send that replacement! Kell was my best friend. He needed an assistant because he was in the middle of a job search just graduating from Springfield College. Since he was a PE major at Springfield, he had to do an internship in coaching. He interned as a coach in the WHYBL in 1977 with Skip Kemp on Chevron. Kemp stepped down as manager in January 1978 and Kell was appointed manager. He needed an assistant and I thought it would be fun to coach with my best friend. Kell gets a job with the YMCA in New Haven and I take over. Both Kell and I played in the WHYBL for Fire (Coaches Hickey and Scully) from 1965-1967. Both of our dad’s were coaches and we had fond memories of our playing days. I would sometimes keep scores of games with a piece of chalk at Norfeldt field. Everyone biked to games. Chevron, Conn & Conn, Chatfield, Molyneaux & Nadler Dental, Molyneaux Dental, and now Blue Back Dental. Describe the experience of coaching your son (Alexander) in the Majors? Both challenging and thrilling. Honestly, it was a gift for me being his coach in baseball. I probably was tougher on him than any other player. I also hit him the most in batting practice than any other player (unintentionally). Alexander was affiliated with the team from the time he was 5 as an assistant bat boy, to bat boy, and player. I also had the fortunate experience of coaching him and his peers with Tim Venora on our 2007 Travel A team that had a great run in Cooperstown (8 wins). 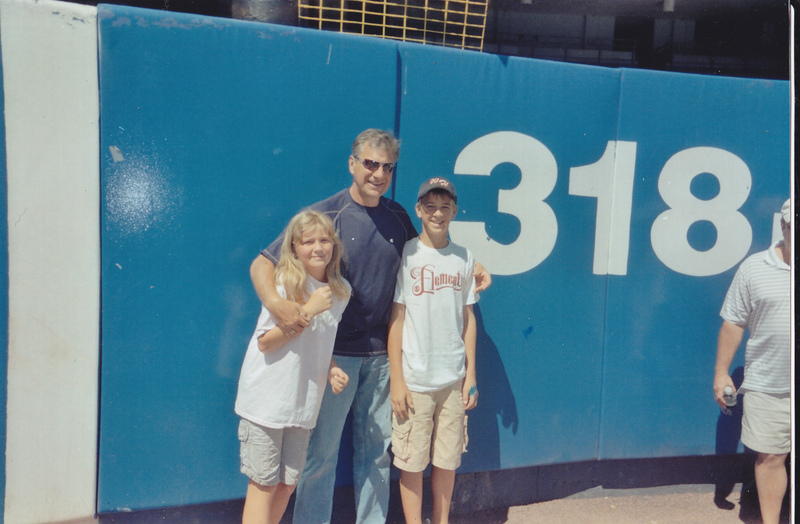 My favorite experience was seeing my son get his first hit against Connors at the age of 10. A double off the fence at Wolcott! I was in tears (inside) but could not show it. I was so proud, but did not want to give any impression regarding his accomplishment versus our other players. Other favorites were coaching my good friend’s sons: Bob Sitarz (Ryan, Colin), Mike Klimas (Greg), Bill Keenan (Jeffrey), and Chuck Bruttomesso (Tanner). Watching them all develop and become outstanding players in their own right and outstanding young men, that was something very special. We also broke the gender barrier in 1979 with the first female player – Karen Gilnight (O’Meara) at 2B. Karen’s twin sons later played for Exchange. The WHYBL has grown exponentially for the better. 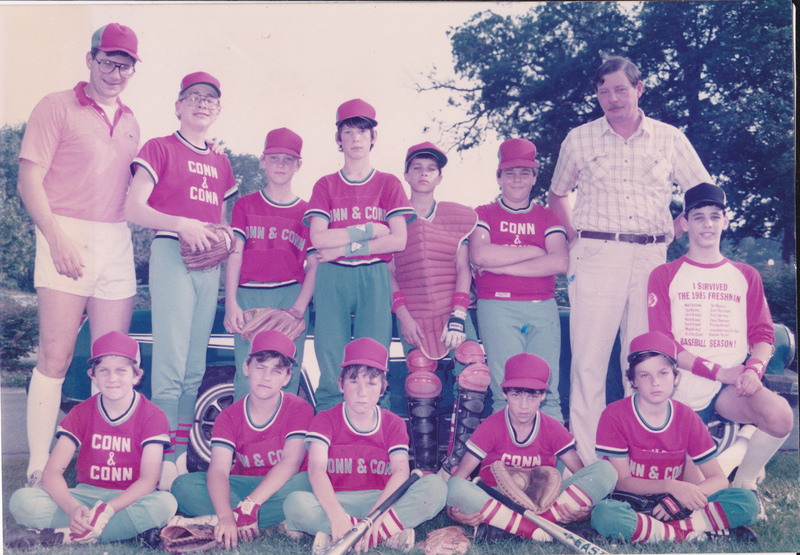 When I started, we only had a Major League with 15 players on each team, and 1 inning minimum playing time. Wooden bats, bases with spikes pounded into the ground. “Hat Day” which involved all players and teams going around town with their baseball caps collecting donations on behalf of the league. The player development and quality of coaching today is light years ahead of what we had 37 years ago not to mention our current affiliation with Cal Ripken baseball. The list would be a long one. I consider myself very lucky and blessed to be part of our League for such an extended time. Great support, great friendships and coaches. The future of our League looks very bright.